Lawyer Andy Banzhoff says his client, 51-year-old David Steven Bell, is also undergoing long-term treatment for a traumatic brain injury and post traumatic stress disorder, the Asheville Citizen-Times reported. 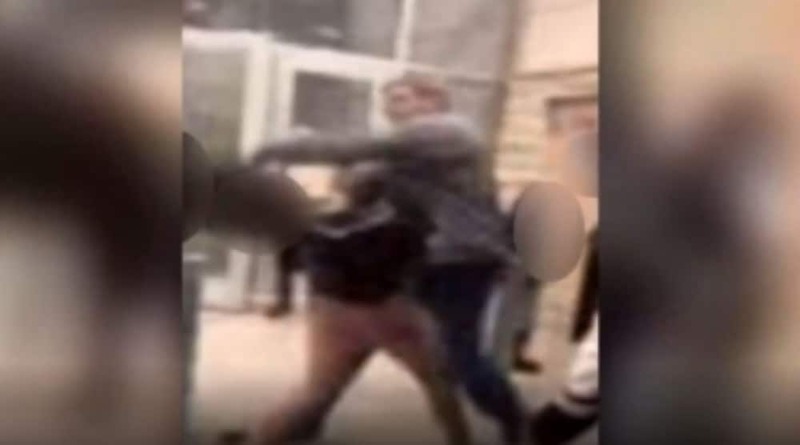 Bell, who is 6’5” and weights 250 pounds, is seen in the video punching an 11-year-old girl in the face, sending her to the ground. The attack happened after a group of girls surrounded him at the Asheville Mall on Saturday. “His actions were not motivated by any animus towards the persons in the group,” Banzhoff said in a statement. “Mr. Bell’s belief is that all persons are created equal and that we are all children of God,” the statement read. The video has sparked an avalanche of outrage on social media, from people who criticize Bell for physically attacking a child to others who have come to his defense, the Citizen-Times reported. Bell’s lawyer claims he was exiting a bookstore when he saw “a large pack of youths harassing a woman,” Banzhoff told the Citizen-Times. Bell asked staffers at the bookstore to call security and told the youths to break it up as he escorted the woman through a mall exit, according to Banzhoff. The youths followed and blocked him from leaving, with some taunting and threatening him, the lawyer said. One female youth shoved Bell from behind and another “stepped toward Bell in an aggressive manner,” according to the lawyer. He pushed her away and she fell, the lawyer said. Police arrested Bell on a charge of assaulting a child under 12. The victim has not been publicly identified. The allegations of two more alleged assaults stem from statements two 13-year-old girls made saying that in the encounter, Bell pushed them.